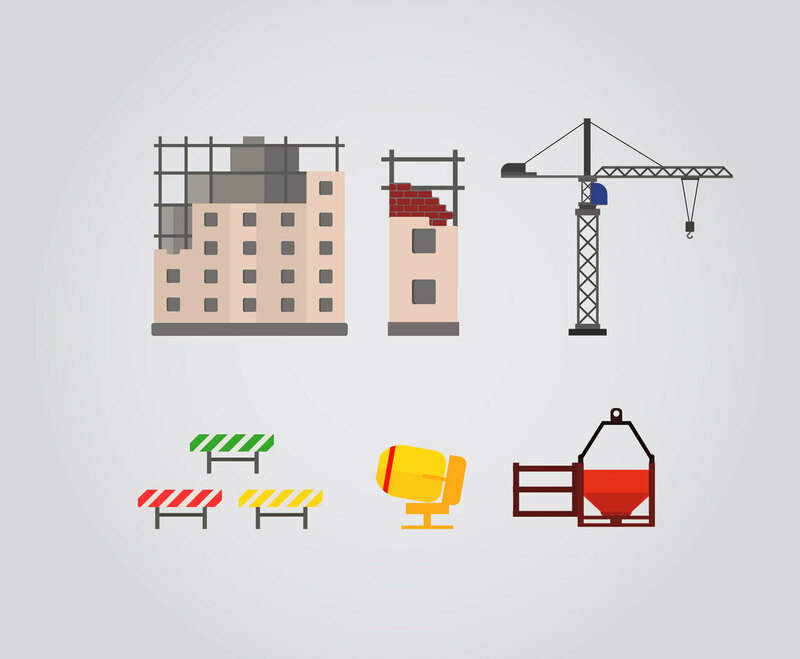 Here is a set of minimalist vector illustration, related to construction work area. It will be nice as design element in building construction illustration or anything related to building structure also concrete work theme. The set is easy to edit and completely free.